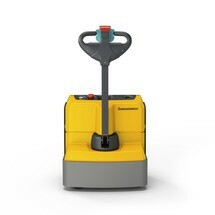 The EJE M13 is a cost-effective entry-level model in the Jungheinrich electric pallet truck range. 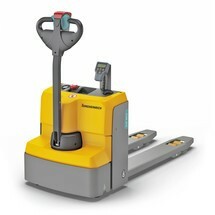 The electric drive assists you with the everyday transportation of pallets. The electric pallet truck is ideal for small and medium-sized companies, as a hand pallet truck replacement or to supplement your truck fleet. The EJC M10 ZT is a cost-effective entry-level model in the Jungheinrich electric stacker truck range. It assists you in transporting loads weighing up 1000 kg and stacking pallets at heights of up to 3300 mm. The electric stacker truck is perfect for small and medium-sized companies who perform occasional transport and stacking activities. It has been designed specifically for in-house goods transport. 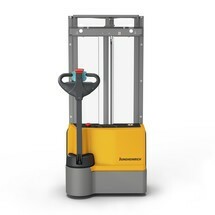 The EJC M10 E is the cost-effective entry-level model in the Jungheinrich electric stacker truck range. 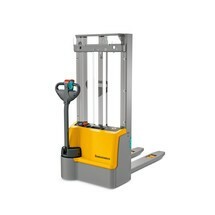 It assists you in transporting loads weighing up 1000 kg and stacking pallets at heights of up to 1900 mm. Thanks to the mono mast, the EJC M10 E is also an ideal tool for order picking. The electric stacker truck is perfect for small and medium-sized companies who perform occasional transport and stacking activities. 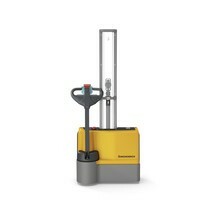 The EJE M15 is a cost-effective entry-level model in the Jungheinrich electric pallet truck range. The electric drive assists you with the everyday transportation of pallets. The electric pallet truck is ideal for small and medium-sized companies, as a hand pallet truck replacement or to supplement your truck fleet. 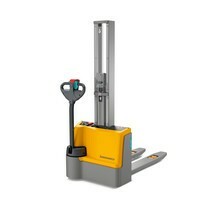 The EJC M13 ZT is a cost-effective entry-level model in the Jungheinrich electric stacker truck range. It assists you in transporting loads weighing up to 1,300 kg and stacking pallets at heights of up to 3300 mm. The electric stacker truck is perfect for small and medium-sized companies who perform occasional transport and stacking activities. It has been designed specifically for in-house goods transport. 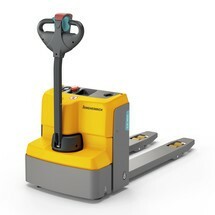 The EJE M13 is a cost-effective entry-level model in the Jungheinrich electric pallet truck range. The electric drive assists you with the everyday transport of loads weighing up to 1300 kg. The integrated scales allow you to move and weigh your goods with a single device. The electric pedestrian pallet truck is ideal for small and medium-sized companies, as a hand pallet truck replacement or to supplement your truck fleet. 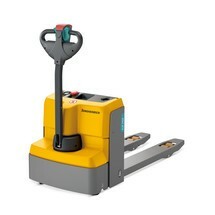 The EJE M15 is a cost-effective entry-level model in the Jungheinrich electric pallet truck range. The electric drive assists you with the everyday transport of loads weighing up to 1,500 kg. The integrated scales allow you to move and weigh your goods with a single device. The electric pedestrian pallet truck is ideal for small and medium-sized companies, as a hand pallet truck replacement or to supplement your truck fleet.